Judge a tree by its fruit. It’s something I think about a lot. It’s a simple but powerful way to judge viability and even worth at times. Sometimes when we apply that very standard to ourselves it can be downright scary. Christy and I have been involved with PHA’s ministry in Ukraine for about 5 years now. Beginning as volunteers and winding up being directors for the work. During that time a lot has changed. We’ve grown. We’ve adapted. We’ve strived. And we’ve been at it long enough that we should be looking at the fruit of this ministry. Are we producing good fruit consistent with our goals? In June we had our third Summer Bible Camp where 96 kids from our ongoing orphan and at-risk youth programs came for 10 days. For the first time we had orphanage graduates serve as junior counselors. After summer camp, there was a Christian seminar held at the same facility where two of our orphanage graduates participated and we’re baptized. 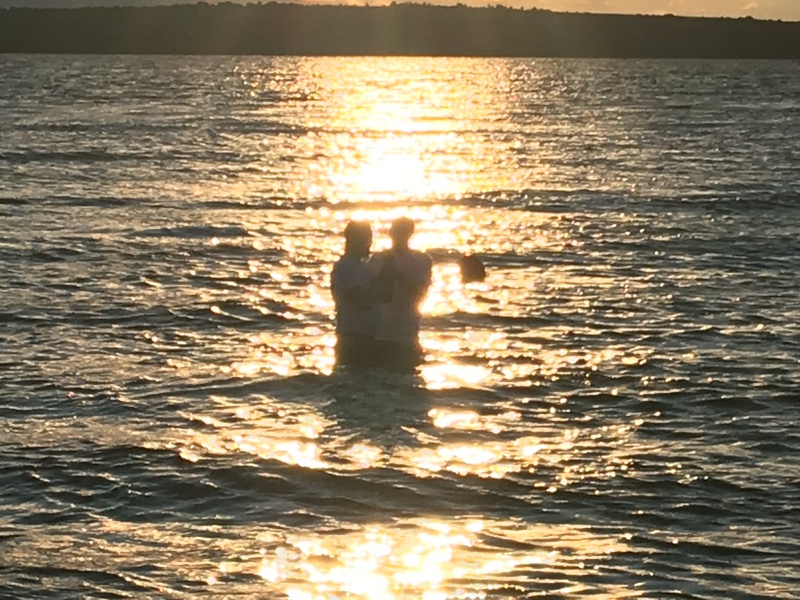 Two more graduates were baptized outside of the seminar at their request. We have kids who are getting close to finishing their trade schools and are preparing for further education and for jobs when just a short time ago it seemed they had almost no direction. We are seeing our older kids being positive influences on the younger kids. We are seeing kids who have a positive futures and paths to get to them. Over the last several years we have seen lots of good fruit from this ministry. We see baptisms of our older kids on a regular basis now. Along with these baptisms we are seeing deepening relationships between the churches and our kids. We see them maturing in their service as well as their personal lives. This may surprise you but we haven’t seen any of our kids turn in to perfect people, but we do see growing relationships with Christ and that’s pretty sweet fruit.